Are you ready to lose weight naturally without dieting, deprivation or drugs? This book will show you how... In a world full of junk food, fad diets, misinformation and toxic medication, Katrina's approach to weight loss is refreshingly simple and easy to follow. Whether you have a little weight to lose or a lot, this book will show you how to connect with your own healing abilities so that you can release weight effortlessly and live the life of your dreams. *** Sick, tired, overweight and just days before her 20th birthday, Katrina had a complete body break down. She spent the next couple of months bed ridden, sleeping for days on end, waking only to be spoon fed by her mother. This experience set her on a journey to transform her life once and for all. After years of struggle she discovered little known tools that helped her to heal her body naturally from within and in the process lose over 60 pounds. 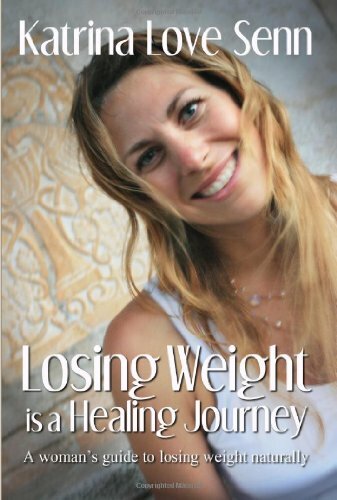 She has kept this weight off for over 12 years now and has used the concepts contained in this book to radically transform other areas of her life as well. Today Katrina Love Senn is a picture of vibrant health, energy and vitality. She is also an internationally renowned yoga teacher and healer. Uplifting, positive and inspirational; this book offers you a real path to transformation. It provides an aspirational and positive story for women to naturally achieve health and well being, as well as their dreams. 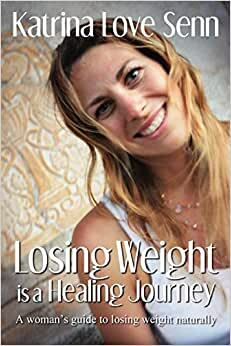 Start reading Losing Weight is a Healing Journey on your Kindle in under a minute. This book goes straight to the root of weight problems--not gimmicky dieting tricks or supplements or food plans you'll never follow--it goes straight to addressing your thoughts, emotions, and beliefs about food and your body. This book is not only helping me work through deep issues surrounding food, but it's also helping me be more productive in other areas like my career and marriage. It's all about recognizing negative thought patterns and replacing them with positive ones. The way Senn writes is both clarifying and motivating. I needed this extra push and support to make the changes. This is working. You have to put in the effort and time to recognize and change your habits, this is not a quick-fix, but it will help you achieve lifelong change for the better if you're open to it. I read this book in combination with Katrina's website and it completely changed my relationship with food. I began to think of food as fuel rather than something to monitor and control. For about three weeks, I transformed my diet eating only whole foods, as much of it as I wanted. During those three weeks I lost 10 pounds and then another 5 pounds over another few weeks. I began to think of myself not as a chubby person, but as a slim, attractive, fit person. The funny thing is, after I lost the initial 10 pounds, I incorporated foods that I enjoyed back into my diet. Not a whole lot, but enough so that I never felt deprived. Some days, due to work, I couldn't eat healthy. Despite that, the weight has stayed off and I don't worry about it at all anymore. I think my body must process food differently now that I think of it as fuel rather than a problem. All of this has been such a surprise for me, as after 30 years, I never imagined things could change so quick in a few weeks. I am also now thinking about how I can apply what I learned here to other parts of my life. Full of things I already knew: Lemon water, organic food, real food versus fake food, get more rest, belly breathing. However, there was one thing she said that really hit home for me: We are overweight and malnutritioned. Whoa...you mean the reason I keep gorging myself on these fake foods is because my body is trying to get the nutrients it needs out of it? No wonder we can devour entire bags of Cheetos and never feel full! After digesting that (no pun intended), I am finding it much easier to eat real food and give the fake stuff the middle finger. All in all, a very important read for those who are ready to lose the weight and make the life changes necessary to be healthy. I bought this book after meeting Katrina in Greece and experiencing her healing first-hand. I could hear Katrina's voice as I read. Her words come from the same place of love and tenderness that she emanates in person. This book is a genuine revelation. What a gift to know that we can all stop punishing ourselves. I've only been practicing her advice for a week but I can visualise the future and I'll be kind to myself until then. Healing really is a journey and Katrina's book will take you there. Katrina Love Senn's gentle and intelligent telling of her own weight loss journey has allowed me to feel less alone with my own. Katrina moves on to sharing helpful tips, sound advice and supportive encouragement. This is her story told in a way that does not preach, demand or judge and for these reasons it motivates this reader.